Getting Out Of A Jam . . .
. . . What You Put In! Once again the fruits of the summer are swiftly forming and ripening in the gardens and hedgerows. My first crop is likely to be gooseberries, no surprise there, which though of minimal appeal as a fruit (unless in a pie or crumble) I intend to turn into gooseberry jam. The article given here is a little beauty, dating back to 1956. It is a tad stained and worn which indicates that it has been used since then, possibly many, many times. 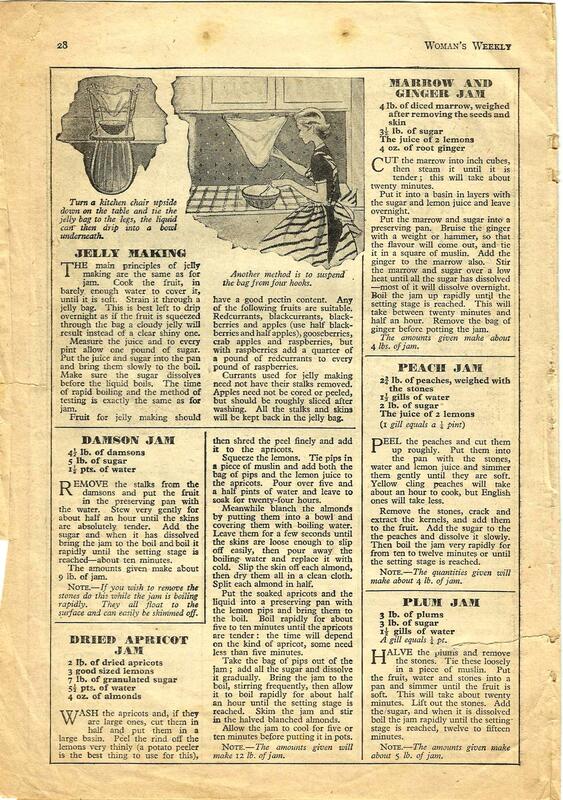 Last year I made a blackberry jam following a later (c.1969) recipe that had a somewhat higher sugar content than I would normally use that proved to be pretty good. 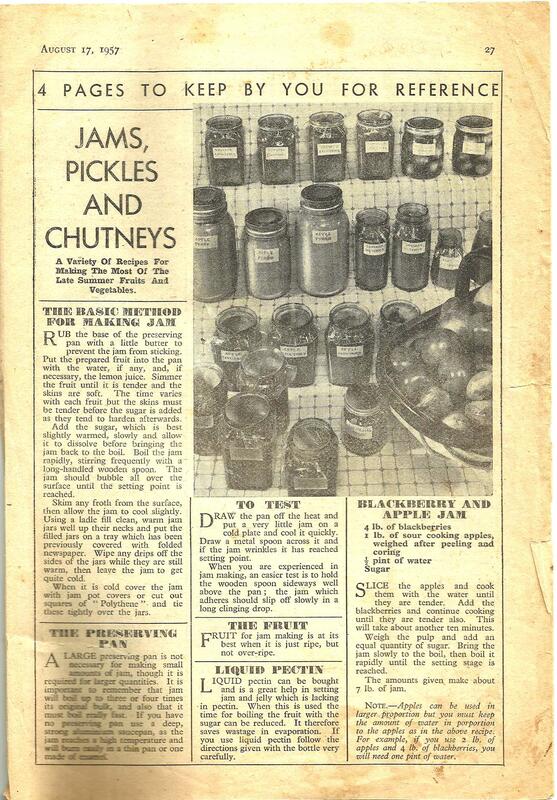 But I also produced a gooseberry jam from this particular article and found it very harsh and only really good for cooking with. The most likely reason for this that I can fathom is rationing! 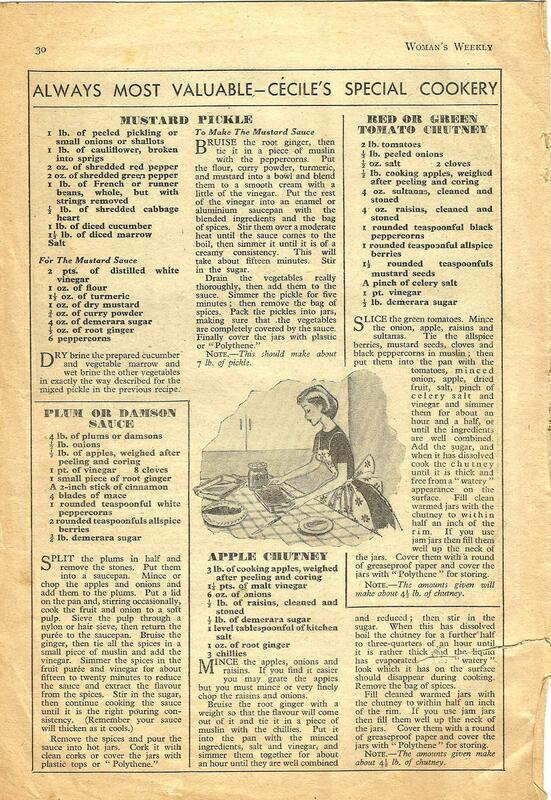 Full, wartime rationing didn’t end completely until 1954 and sugar was one of the last items to be relaxed. So is it possible that after nearly sixteen years of enforced sugar cutbacks, public tastes had changed? Well why not! 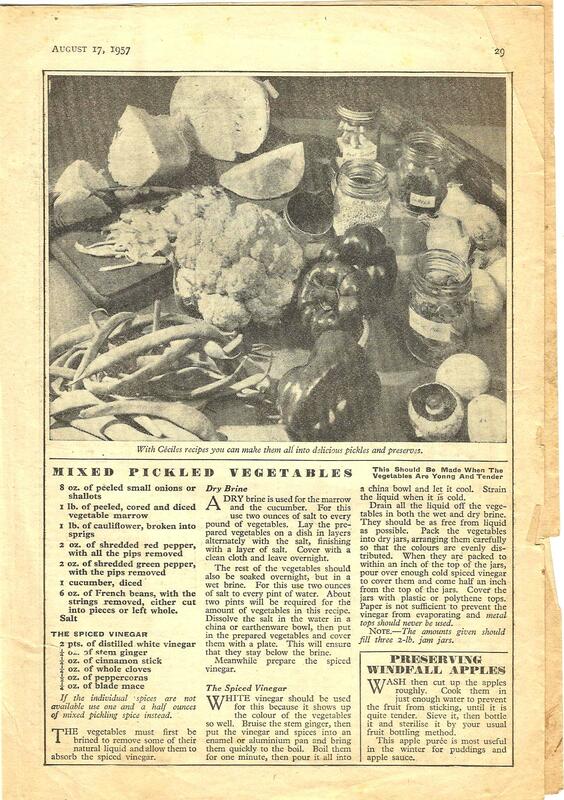 I have already written in previous articles that despite all the hardships and atrocities of the second world war, the net effect of rationing was a generation of children markedly taller, leaner and with healthier bones and stronger teeth than their forbears. It may be a somewhat abstract correlation but given the current figures on childhood obesity could it be that the current generation has somehow achieved the opposite? 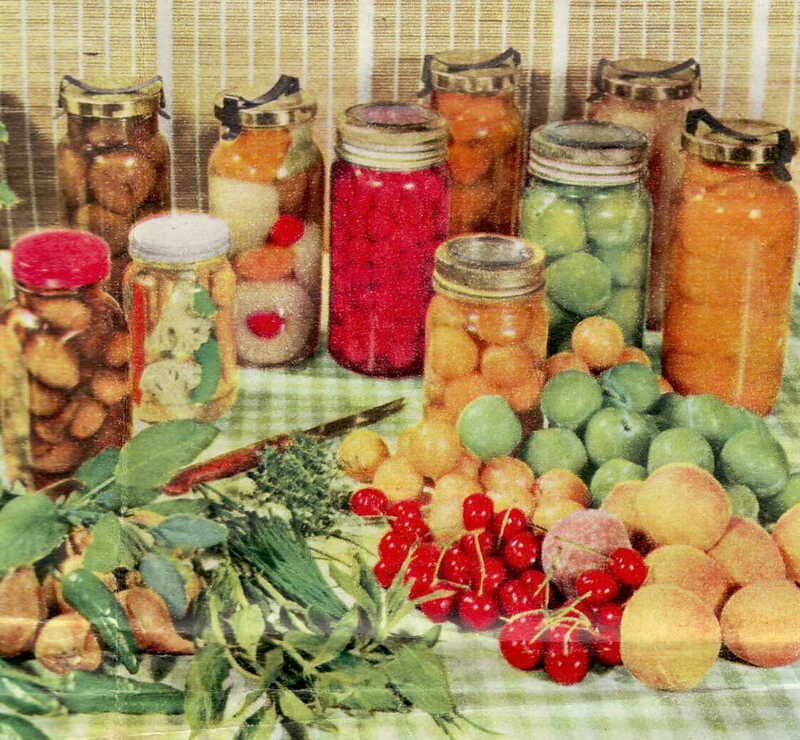 This entry was posted in Sauces, Sweets, The Kitchen Garden and tagged fruit, jam, larder, marmelade, preserves, rationing, sugar, traditional. Bookmark the permalink.